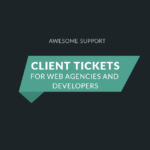 Create deep integration into Awesome Support from external business systems. Important Note: Our REST API is now included as part of version 5.8 and later of the core Awesome Support plugin – you no longer need to download this separate add-on! 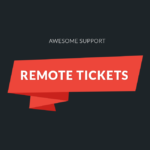 Instead you should download the latest version of Awesome Support and then activate the built-in REST API via TICKETS->SETTINGS->REST API. 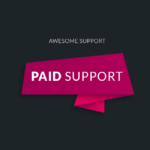 This add-on implements a REST API for Awesome Support. Update notifications for this API will be sent to your email address so its important to use a valid email upon checkout. View the source and contribute to it on Github.